AGRIGEOS is proud to be a member of RHIZOME the European network of independent CROs Rhizome offers the possibility of conducting GEP trials in all European Union Member States. 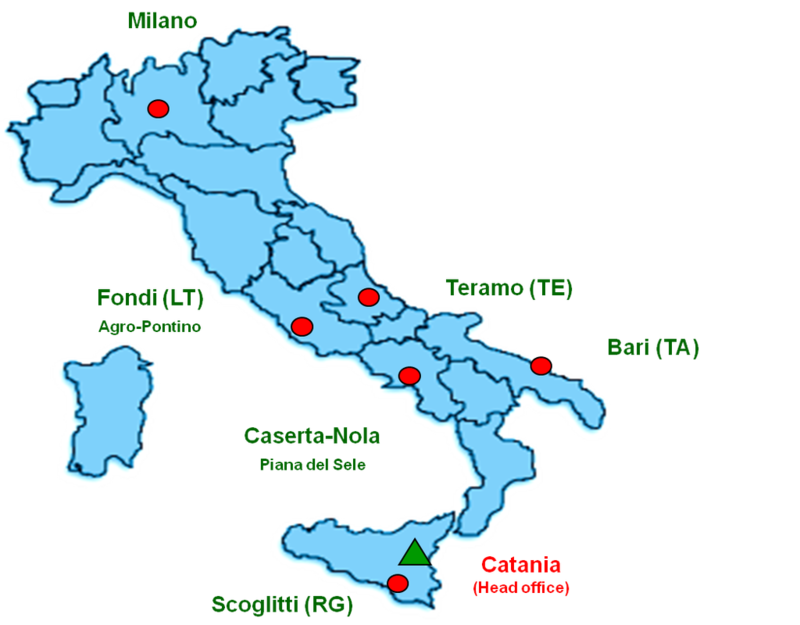 AgriGeos is a leading Italian Contract Research Organization, based in Sicily, operating since 2002, specialized in field trials (crop and soil residue studies, efficacy and crop safety, variety evaluation, fertilizers and demonstrations). Our previous activity has led us to acquire a large experience, allowing us to address the customer requirements and its study plan in a tailor made and timely manner. Investments in state of the art equipment, staff training and technical software allows us to offer a high quality service and long lasting relationship with our customers. One of our strong points is represented by the immediate, direct and real time communication with our customers.